My name is Jean Ross and I am Co-President of National Nurses United, the largest union of registered nurses in the United States. Jean Ross delivering this speech to a packed room in Washington, DC. I am pleased to be here today to applaud the introduction of the Workplace Democracy Act by Senator Sanders, Rep. Pocan and the other Senate and House co-sponsors. This bill is desperately needed by all non-union workers across the country who need a union and who want a union, but who are denied their right to freedom of association and the right to bargain collectively because of employer harassment, intimidation and opposition. This is true for registered nurses as well. Jean delivered this speech to a room packed with a sea of NNU nurses and other workers wearing red in solidarity with all those fighting to organize a union. For registered nurses, union representation allows us to focus on what we do best: caring for our patients. When nurses are able to join collectively, without fear of being fired for advocating for their patients, the public is safer. That means insisting on safe patient care staffing, it means standing up for patients when insurers don’t want to pay for specialized care patients need, or when hospital managers want to kick patients out of the hospital before they are safely ready to go home. Union rights for nurses are a public safety priority in an era of corporate healthcare — just as protecting the rights of working people to form unions helps everyone win improved wages, health benefits, retirement security, environmental protections, and many other improved living standards. 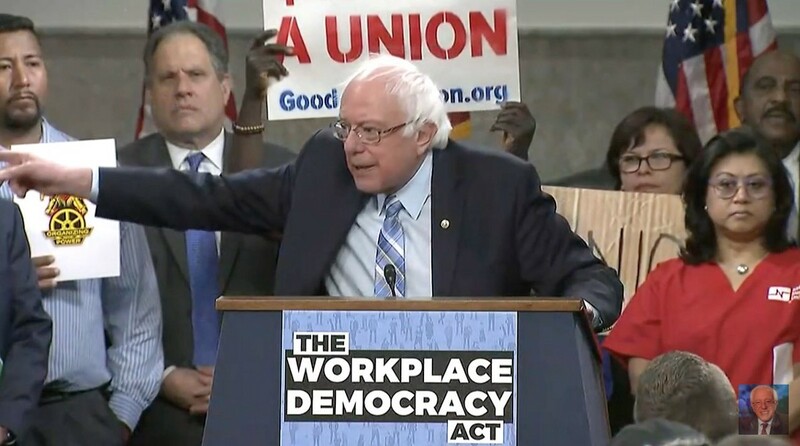 The Workplace Democracy Act was introduced by Senator Bernie Sanders, Representative Mark Pocan and other House and Senate co- sponsors . 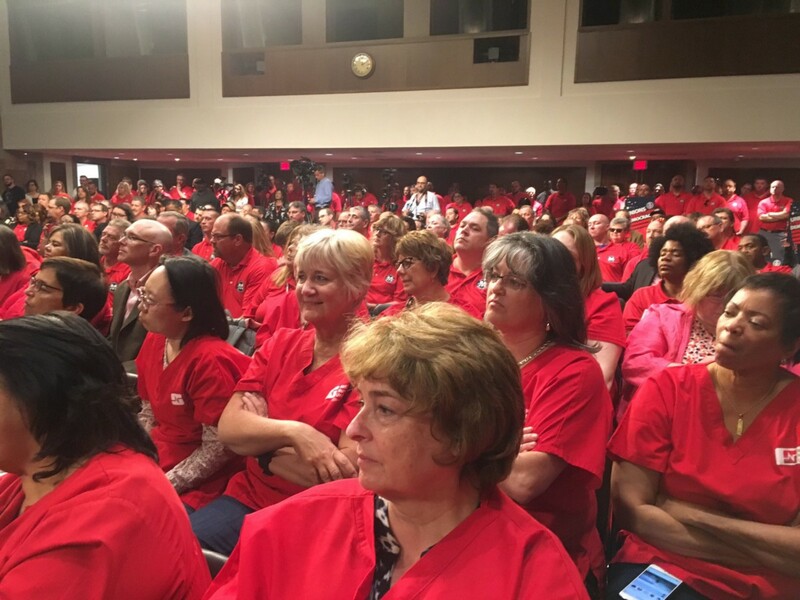 But when nurses attempt to organize, their hospital employers typically try to intimidate them and impede their organizing efforts — and they are typically allowed to get away with it because of a toothless labor law. For these reasons, and in solidarity with workers in all industries who desperately want a collective voice on the job, we strongly urge Congress to pass this bill expeditiously. Current federal labor is broken and this bill will take significant steps forward to fix it.